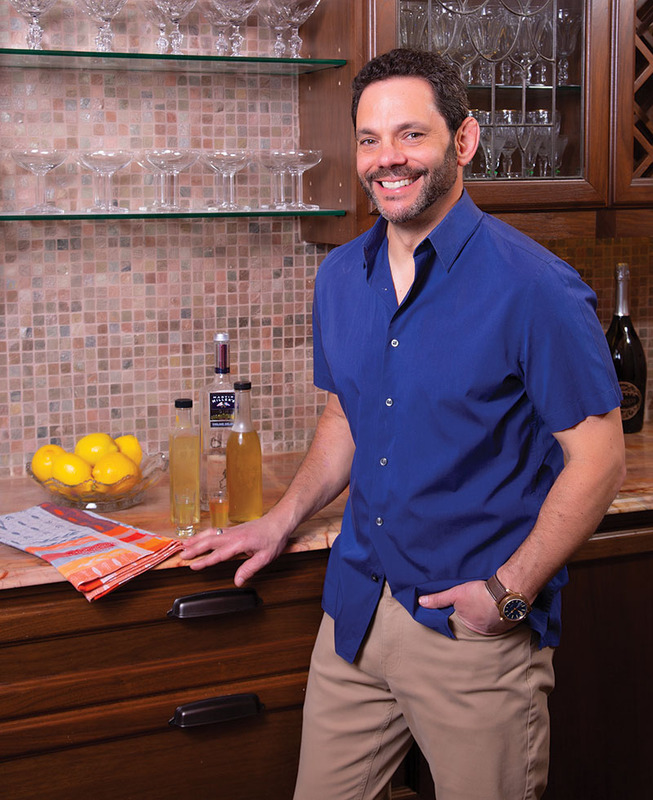 Caroline was the youngest of four daughters that she and Anthony, managing director and chief financial officer of SCF Partners, raised in River Oaks. The other three are Lauren, now 29, Allison, 26, and Virginia Claire, 23. Looking back, DeLuca says she really did watch Caroline grow along with her tree. “She grew probably six inches,” says DeLuca, a civic volunteer. Caroline enjoyed sitting under the shade of the tree and loved to look at the bright yellow lemons. “To me, now, having lost her, the tree means more to me. I love the tree. I go out and I pick the lemons.” And, she makes lemonade. Childhood memories growing up in Galveston inspired Darryl Levy to plant his own trees when he moved to Bellaire in 1990. 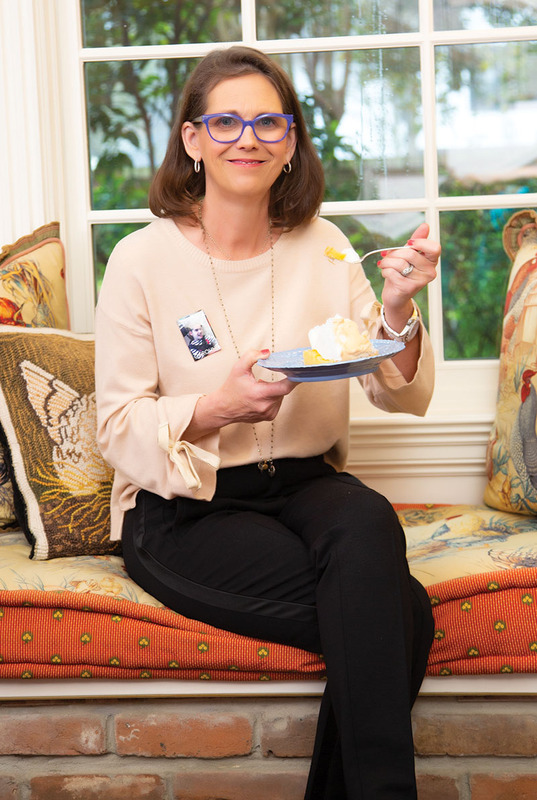 “My parents and grandparents had fruit trees, and I thought, ‘Hey, I have a house now!’ and I went into my backyard thinking it was just like Galveston, but it wasn’t. 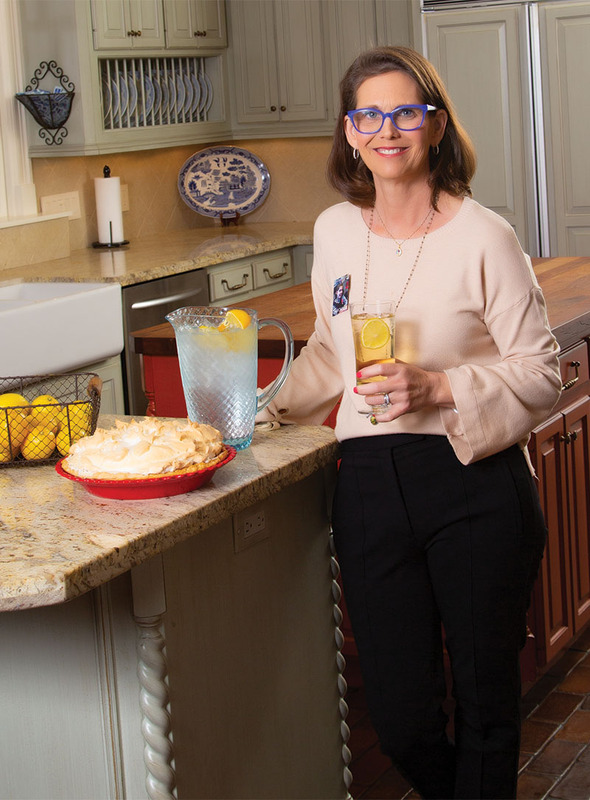 I could not plant easily because of the heavy clay,” says Levy, partner in the law firm of Greer, Herz & Adams, L.L.P., who was initially stymied by the dense, Houston soil. “So, I went and took a fruit tree course from Dr. Leon Atlas at the Houston Arboretum.” And that was the start of his personal orchard. And, boy, have they grown. 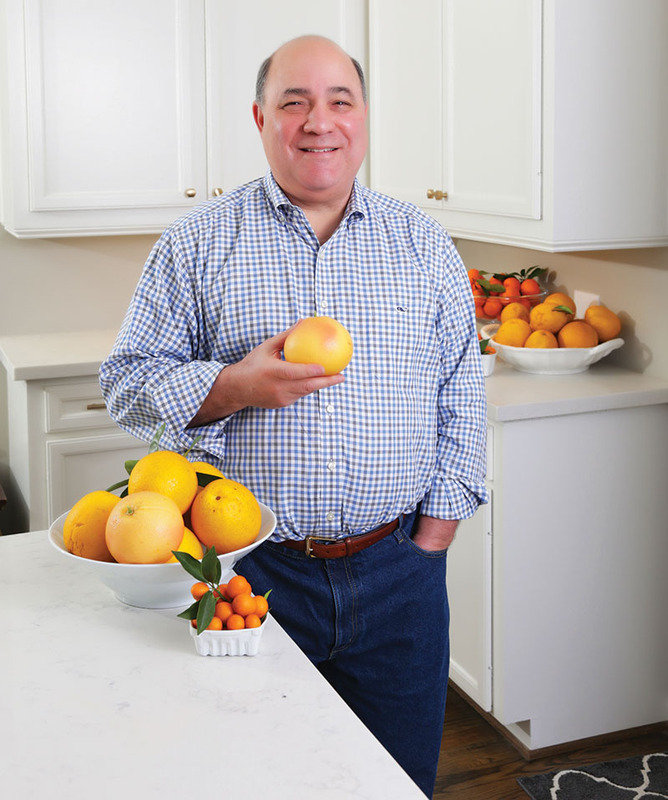 Today, Levy has satsuma, persimmon, fig, grapefruit, orange, kumquat and pecan trees that have flourished at his home. 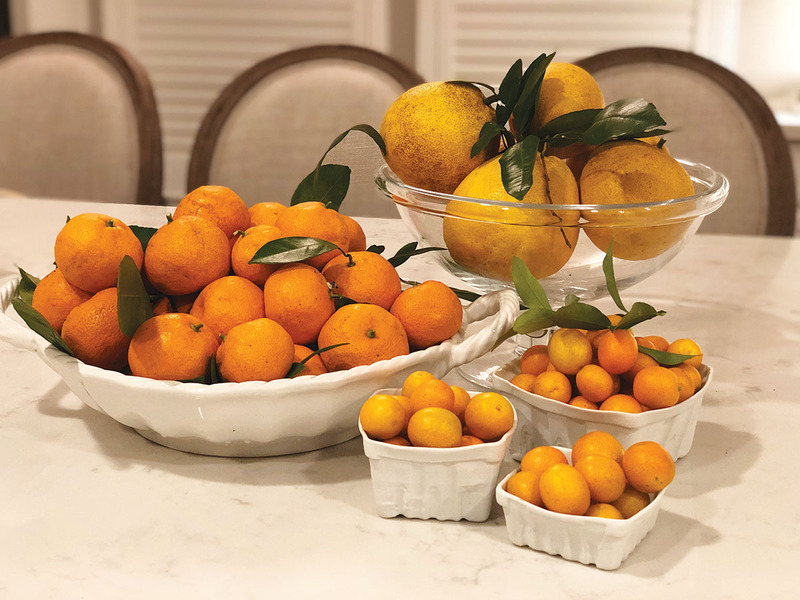 “For two weeks in spring when the citrus bloom, it makes the yard smell like heaven.” His trees all bear a lot of fruit – and, surprisingly, more so after his house was flooded during Hurricane Harvey. It could be said that Bass Wallace has deep roots when it comes to fruit trees. “My mother was a great gardener, and I give her credit for the gene and interest. I spend a lot of time in my yard,” says Wallace, senior vice president and general counsel of TETRA Technologies and CSI Compressco LP. 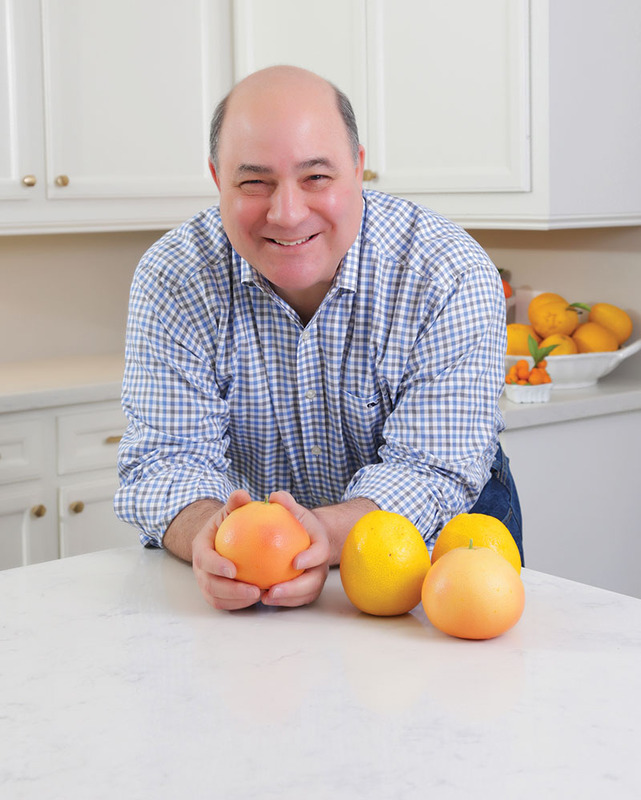 “I have a grapefruit tree and a Meyer lemon. These are great to grow in Houston.” In the past Wallace also had a satsuma orange and a Mexican lime tree at his Memorial home, which he lost to hard freezes. 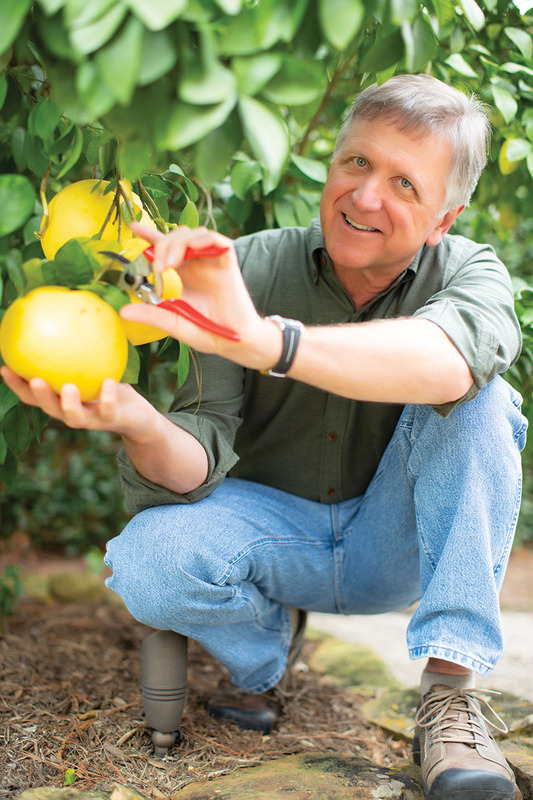 He says that Houston’s sub tropical climate makes growing citrus achievable. 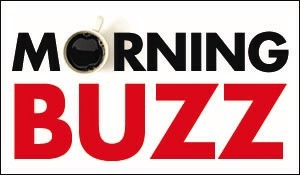 “They don’t require a whole lot of fertilizer or water once they are established, but they do need drainage and the sunniest spot you can find is the best place to plant them,” he says. 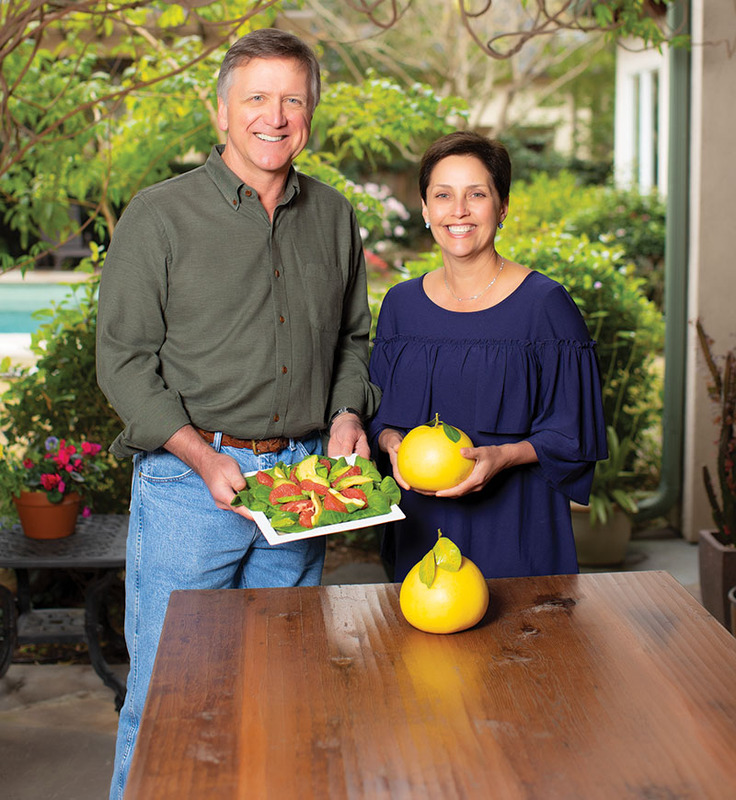 Wallace, who serves on the advisory council of the Houston Botanic Garden, says he and wife Jackie, a local volunteer, enjoy the fruit they grow. “We usually get more lemons than we can use,” adding that because the fruit ripens in late fall, they make beautiful holiday gifts. Levine, a longtime Braes Heights resident, says having fruit trees is good for the soul. “I always wanted to grow things,” says Levine. “It’s the way I relax. I come home from my office and go out and work in the yard. I spend a lot of time on websites so that I can better understand citrus care, and I also spend time at some nurseries [including Buchanan's Native Plants] around town who are very helpful in explaining the soil you need. There’s a lot of trial and error, but you have to be attentive to your trees and feed them.” There is reciprocity with fruit trees, he says, because they feed you right back. Press the pie crust into a 9-inch pie plate. Line crust with parchment paper and fill with dried beans. Bake until crust is lightly browned, about 45 minutes. Carefully lift and remove paper with dried beans and discard. Set aside pie crust and let cool. In a medium saucepan, whisk together sugar, zest and egg yolks. Once stirred fully, whisk in lemon juice, salt and butter and place pan over medium-high heat. Whisk together 1 cup cold water and cornstarch and add to mixture, whisking constantly, until butter has melted. Continue to whisk for about 5 minutes. The mixture should get thick enough to coat the back of a spoon, and small bubbles should form around the edge of pan. Do not let it boil. Once complete, pour the lemon curd mixture directly into cooled crust and smooth the top. Place pie into refrigerator and let it chill until set, at least three hours. In a large bowl, combine egg whites, sugar and salt. Using an electric mixer, beat on medium-high until stiff peaks form. Take pie out of refrigerator and place meringue on top of pie, making sure it touches the crust all around. Bake until meringue begins to brown, about 8 to 10 minutes. Remove pie from oven and serve. 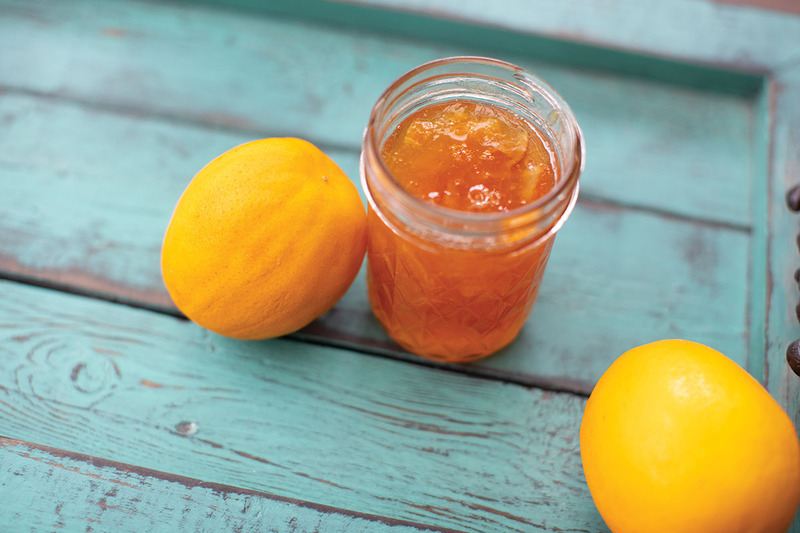 Pour the alcohol into the mason jars and combine the peel of 15 Meyer lemons. Make sure to scrape off all pith. 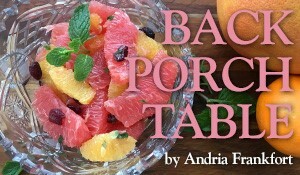 Place the jar in a dark place for 30 days, shaking the liquid and peel every few days. After four to six weeks the alcohol will turn bright yellow (color should look like a highlighter). Strain the alcohol a few times to remove the peel and any sediment. Make simple syrup. After cooled, mix the simple syrup with the alcohol in small batches to determine sweetness preference. Start with four parts alcohol to one part cooled simple syrup. (I prefer three parts alcohol to one part simple syrup with vodka and equal parts simple syrup and alcohol if using high-proof Everclear.) Bottle and store in freezer. Best after a month and good for a long time. I’ve been told it makes an excellent adult snow cone.